myKegel is your most personal & customizable trainer to help you perform Kegel exercise easily and professionally. It’s very simple to use, powerful, customizable, and respects your privacy. WOL Widget is a very simple and straightforward tool to power on your computers on your local network (LAN). You don’t even need to open the app, as it’s right there as a widget in the Notification Center (Today View). Pixel Check is a simple tool that would help you to spot dead/stuck pixels on your TV or monitor screen, and can also repair (unstuck) some of those stuck pixels if they’re not already physically damaged. Actually, there's no "We", it's just me, a one-man-team. 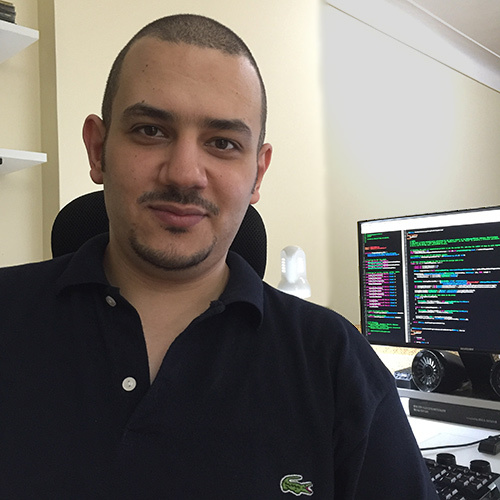 An Egyptian indie iOS Developer, a one-man-team guy who has an infinite passion for Apple and it’s Eco-System, and like many other indie developers out there, I have to wear many “hats” in order to be able to deliver my apps to you. Life isn’t easy for an indie, especially here in Egypt. Custom exercises easy to program to therapist recommendations; other level well designed and timed for those just beginning to exercise. Keeps one from losing track of the number of repetitions. Good job! Great app that works well w schedule. Love it! Copyright © 2018 StillCode. All rights reserved.